Catalogue : Massimo Nosetti. In memoriam. Opera omnia per organo. 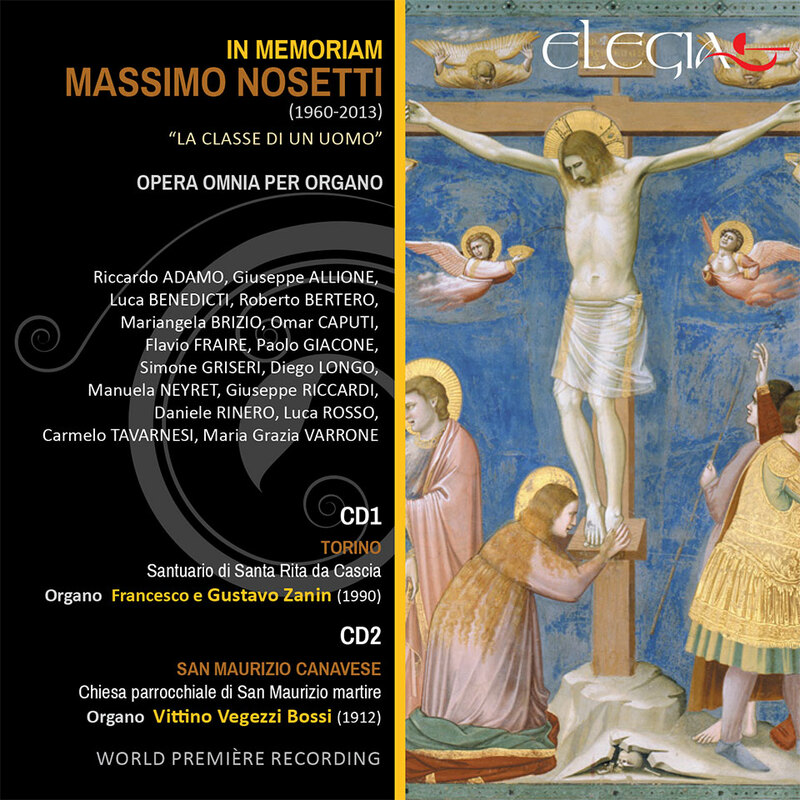 This double CD is consecrated to Massimo Nosetti's heterogeneous pipeorgan production. This collection was tireless pursued from Omar Caputi and realised by a few of the many who throughout the ages had been Nosetti's students at G.F. Ghedini's Conservatory of Cuneo. The first CD was entirely recorded on the monumental pipe-organ Zanin (1990) placed in Turin Santa Rita's Sanctuary and crafted following Nosetti's instructions. The record opens with a sparkly “Postludio festive” followed by a sequence of variations (1994) from a folkloric Japanese theme which Nosetti varies with remarkable harmonic richness. The CD closes with Caputi's and Bertero's four hand improvisation on Santa Rita's ode theme, homage from two former students to their unforgettable teacher. The second CD (recorded on San Maurizio Canavese pipe-organ) opens with solemn “Processional” of archaic resonances and closes with the touching “Mass for the deceased” that far from dark tones and discouragement, it's more likely to inspire a feeling of restful faith.